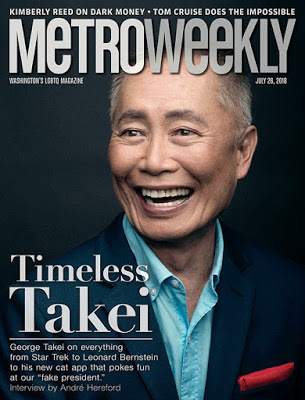 Star Trek icon George Takei has given a wide-rangng interview to Metro Weekly in which he takes a dig at former co-star William Shatner’s autograph policy, reflects on new Star Trek movies and TV shows, whitewashing Asian characters, and living through the internment of Japanese-Americans in the 1940s. MW: As somebody who lived through a period of internment in the ’40s, does the current zero tolerance immigration policy feel like a cycle is repeating itself, or does this seem like some new digression from the values that we know? 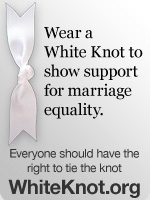 TAKEI: It is a new low. At least in our time, in the ’40s, families were intact. I was five years old when we were taken away. The thought of being separated from my parents never occurred. We were all together as a family. And now, not only is that irrationality and cruelty being repeated, but it’s reaching a new low with children being torn away from their parents, usually from their mothers. Not only kept in that area where they were torn away, the evil in this is scattering them all across the country, and so incompetently that they can’t find the parents and the children to match, to bring them back together. This is a new low, a new depth that we’ve gone to because of this fake president. And the irrationality of this is during the George W. Bush administration, we had asylum seekers and immigrants coming from Latin America at the rate of over 80,000 a month. During the Obama administration, that was cut over half, about 35,000 a month during Obama. And now, it’s something like 25,000 people seeking asylum here every month. This tragedy that’s going on at the southern border is fabricated by this fake president. And his constant repetition of words like drug dealers, murderers, rapists, is the same broad brush that painted us in the ’40s as inscrutable and treacherous and untrustworthy. That was absolutely untrue. There was no case of treachery or spying or sabotage or suspicious activities by Japanese-Americans, in retrospect. But that was the broad brush that painted us then and the same broad brush is being painted by this fake president characterizing the people coming here as rapists, drug dealers and murderers. Friday Morning Man: Gonzalo Higuain!